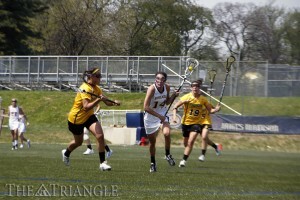 Kristin Kopenhaver is one of many graduated players that Drexel will try to replace this season. The midfielder scored 16 goals in 2013, which tied her for sixth on the team. The Drexel women’s lacrosse team is finally set to open its season Feb. 16 on Vidas Field against George Washington University. The Dragons finished off their preseason play with a trio of scrimmages against Georgetown University, Temple University and the University of Pennsylvania Feb. 8 at Franklin Field. Newly-appointed head coach Hannah Rudloff believes her team ended their preseason with quality play. 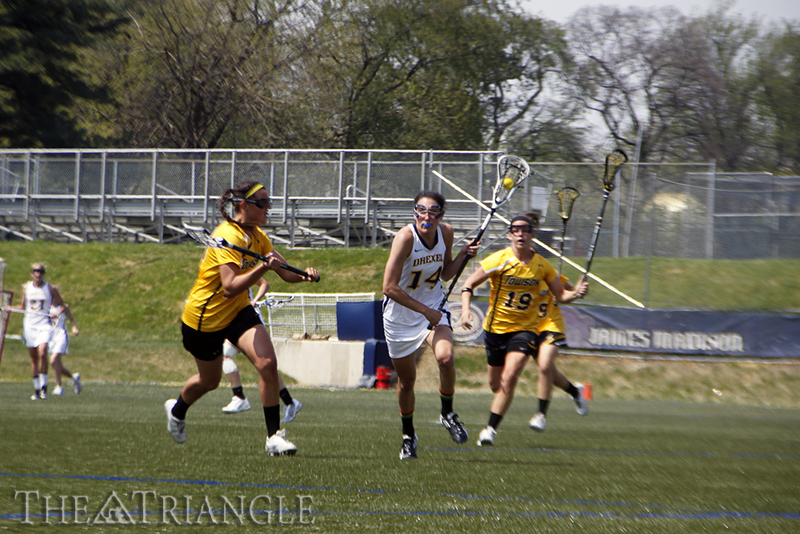 The Dragons were selected to finish fifth in the Colonial Athletic Association this season, with two-time reigning champion Towson University chosen to lead the way. While Rudloff believes her team is being underestimated, she is confident that the ranking can work to the Dragons’ advantage. The Dragons are heading into their new season with a crop of new faces set to take the field and make an impact. Eight freshmen will be joining an already solid core of players for Drexel. Despite the new faces, the most noticeable impact could come from second-year players who are ready to expand their roles on the field. After a CAA All-Rookie season, Emmy Duffey returns to the field for her sophomore season looking to make an even bigger impact. Rudloff has high hopes for the returning sophomore. Milan White, Eva Winiarski and Lizzy Carr will also be looked at to have impactful roles this season. Execution will be key for the Dragons early in the season. With a young group of players, Rudloff believes it is how well the team bounces back from mistakes that will define their season going forward.